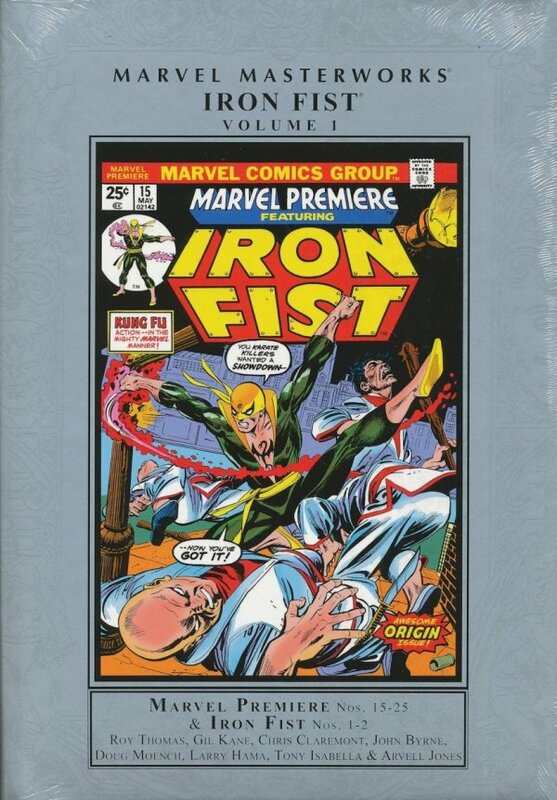 In 1974, nobody was kung-fu fighting like Marvel Comics, and at the forefront of the craze was Daniel Rand - the Iron Fist! A Himalayan expedition in search of the mystical mountain city of K'un-Lun left 9-year-old Daniel's father murdered by his partner Harold Meachum and his mother dead. However, Daniel found the path to the K'un-Lun, and there he spent a decade training under its immortal inhabitants. After years of ceaseless tutelage, he became an unmatched master of martial arts and spiritual control; armed with the shattering power of the iron fist, he left immortality behind to set out into the Western world and avenge his parents' deaths. Packed with wall-to-wall kung-fu action, Iron Fist runs a gauntlet through the Kara-Kai death cult and ninja adversaries, and into mystic dimensions where the battle must be fought with mind and spirit. But Iron Fist's saga not only follows Daniel Rand's quest for vengeance - it also introduces Marvel mainstays Colleen Wing and Misty Knight, guest stars the Marvel Bullpen, and brings together for the very first time the creative team of Chris Claremont and John Byrne! It's the beginnings of a true comic-book classic that can only be called a MARVEL MASTERWORKS! Collecting MARVEL PREMIERE #15-25 and IRON FIST #1-2.